President Glover praised Coleman for her decades of service since becoming a member in 1995. Coleman has served NABJ in numerous capacities, including chapter president, deputy regional director and regional conference co-chairperson. #NABJ18 Registration Is Now Open! Coleman says NABJ is near and dear to her heart. For years, she has brought her entire family, including her mother, to the national conventions. Coleman is an honors graduate of Sam Houston State University in Huntsville, Texas. A four-time Telly® award winning producer, as the executive producer of Frisco ISD-TV, she has garnered numerous awards including the inaugural Student Television Network Teacher of the Year 2012-2013. She is the former executive producer of Frisco High School’s first-ever television program, RACC-TV, serving in that role and as broadcast journalism teacher from 2004-2008. In addition, Eva created and launched Ranger News Network (RNN) at Frisco’s sixth high school, Lone Star, in 2010. Of her 23 years of experience in television broadcasting, she served eight as a producer for the television production company, PRIMEDIA Workplace Learning. Skilled in radio broadcasting as well, she also served as a Technical Operator for Dallas’ KRLD 1080 AM for 12 years, where she ran the audio board for various programs, including Texas Rangers baseball broadcasts. From the inception of Dallas’ KRNB 105.7 FM in September 1996 through May 1998, Coleman was an on-air radio personality there. In 2013, she completed studies as a Reynolds High School Journalism Institute Fellow at Arizona State University (Phoenix), having been one of 175 journalism instructors selected from around the country to participate in the American Society of News Editors (ASNE) administered program hosted by five universities and funded by the Donald W. Reynolds Foundation. In 2014, Coleman was selected to serve on the State Board of Education’s Arts, Audio/Video Technology, and Communications, Committee 1 for the review of the Texas Essential Knowledge and Skills (TEKS) for career and technical education. 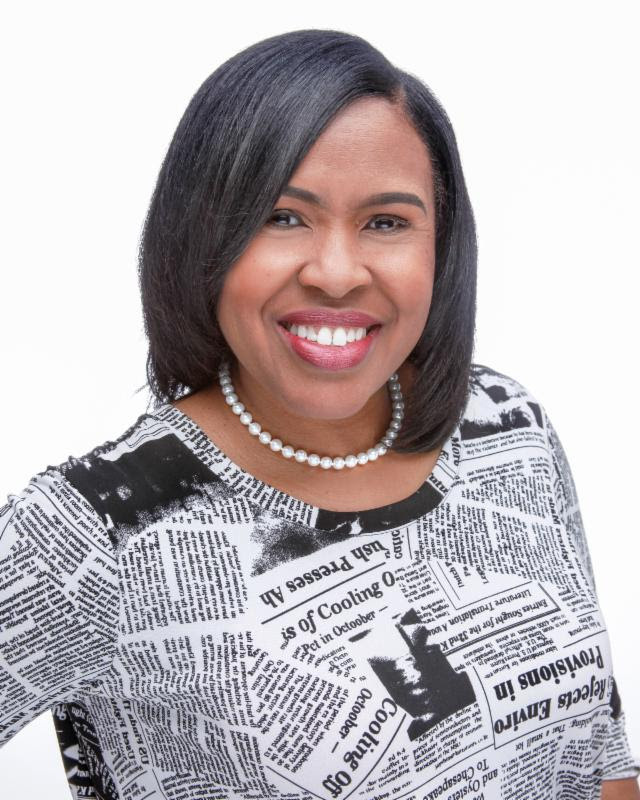 A member of Alpha Kappa Alpha Sorority, Inc., a past president and current vice president of the Dallas-Fort Worth Association of Black Journalists (DFW/ABJ), Coleman is the lifestyles editor for I Messenger Media (a conglomerate of three newspapers and an internet talk show). She also served as deputy director for NABJ Region VII and V from 2001-2007, and currently serves as NABJ Region III deputy director – west. Coleman is widowed and has two daughters, 16-year-old Cecily Simone and 11-year-old Evana Gabrielle. Pointing out that NABJ is the largest minority journalism organization of color in the nation, with a huge international contingent, Coleman said the programming and coordination of the national convention is critical especially when you consider changes in the industry. NABJ Founder Norma Adams-Wade agreed. “I’ve been very excited about the growth of NABJ under Sarah’s leadership, and the choice of Eva as convention chair is just one more positive and forward-thinking decision that our president has made,” said Adams-Wade, who is a contributing columnist and retired senior staff writer at The Dallas Morning News and still very active with NABJ nationally and locally, through DFW/ABJ. Coleman may be reached at conventionchair@nabj.org.